Australia is always a premium holiday destination. It is a particularly popular vacation target for Brits because of the linguistic and cultural similarities, while simultaneously offering breath-taking views, vibrant cities, and sunny beaches. As the flight time to Australia is 23 hours, most tourists would go there for 3 weeks at least, carrying a substantial amount of cash holiday money. For this reason, it is essential to carefully compare Pound to Australian dollar providers, before buying AUD and choose the ones offering the best AUD rates. Although Australia is quite far and could be somewhat expensive, especially considering the fact that the Australian Dollar rates keeps climbing in comparison to the Pound, it is still a “must-have” destination and this is particularly true for people who enjoy warm weather and pristine beaches. Brits absolutely love the Australian mentality, which is somewhat similar to the UK one, only more cheerful. The list above almost always has the best rates to buy AUD. 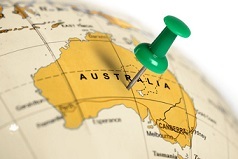 It shows the best providers to exchange Pounds to Australian Dollars. For your convenience, you can compare 30 more travel money providers below for their GBP to AUD rates. Use it for comparison sake to see how our selected providers do against them. Are these rates totally accurate? Is it the precise exchange rate at this moment? The AUD exchange rate comparison above is as precise and accurate as we could make it, but errors may occur. 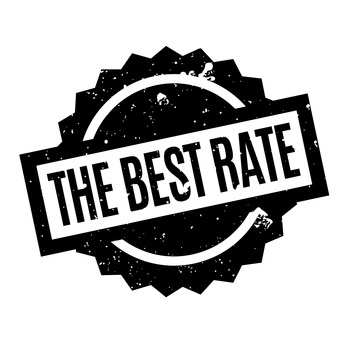 The rates are constantly moving up and down and our currency feeds only get updated on an hourly basis. In addition to that, travel money providers like to play around with the spreads (the mark ups between the Buy and Sell), and we might miss that in real time. Still, the comparison above should be helpful for travellers who wish to decide where can they get the best AUD rates. Travelling to Australia – How Much Does It Cost Compared to the UK? A meal at a normal local restaurant would cost you £10.5 (versus £12 in the UK). A 0.33 litre bottle of Coca-Cola would cost you about 60% more of what it would in the UK, right about at £1.85. Do not be a miser when it comes to transportation, you can ride a taxi for 38% less in the UK. If you are planning to rent a car, gasoline is 35% less expensive than in the UK. In general, getting to Australia is the hardest part. Traveling there is sometimes a bit more expensive, but definitely affordable. Sydney – The Legendary Architectural Building, Sydney Opera House, an extraordinary view from the top of the Harbour Bridge, shopping at Rocks District, and the adorable koalas in the Taronga Park Zoo. Melbourne – A cultural centre with local and international arts, unique Royal Botanical Gardens, Sea Life Aquarium, and great nightlife with experiences you will not forget. Lord Howe Island – Pristine beaches like Ned’s Beach, beautiful lagoons, and spectacular walking trails on the island. Gold Coast – A paradise for surfers located on the east side of the continent and a perfect place for nature-lovers – the Lamington National Park and Tamborine Mountain. We hope that our thorough guide for travellers to Australia will help you plan your to better plan your trip and enlighten you on how important it is to look for the best Pounds to Australian Dollars exchange rates. We are trying to improve our site constantly and make it a useful tool for our readers. Do not forget, the best travel money provider may be the cheapest at this moment, but it does not mean it will remain like this until your next trip. It is important to check GBP to AUD exchange rates every time you are planning to buy Australian Dollars. We hope to see you again. Remember, comparing AUD exchange rates before buying them, can help you save some money and headaches. Enjoy your vacation in Australia and share your experiences with us. Stay safe!